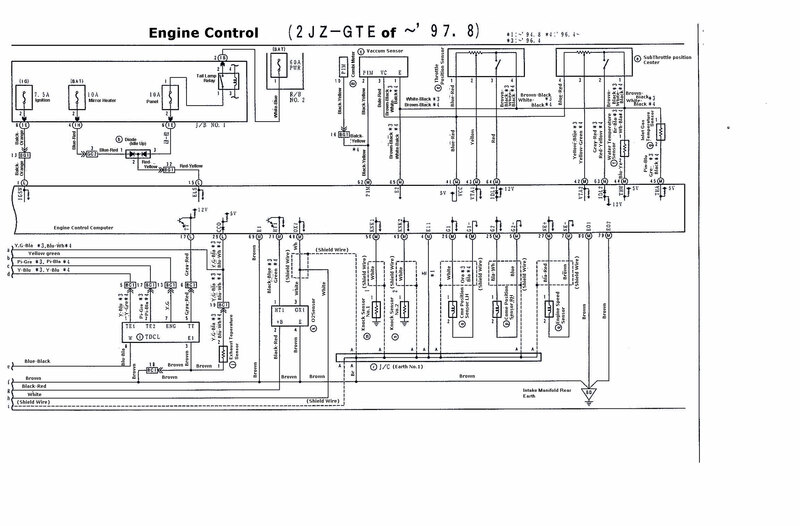 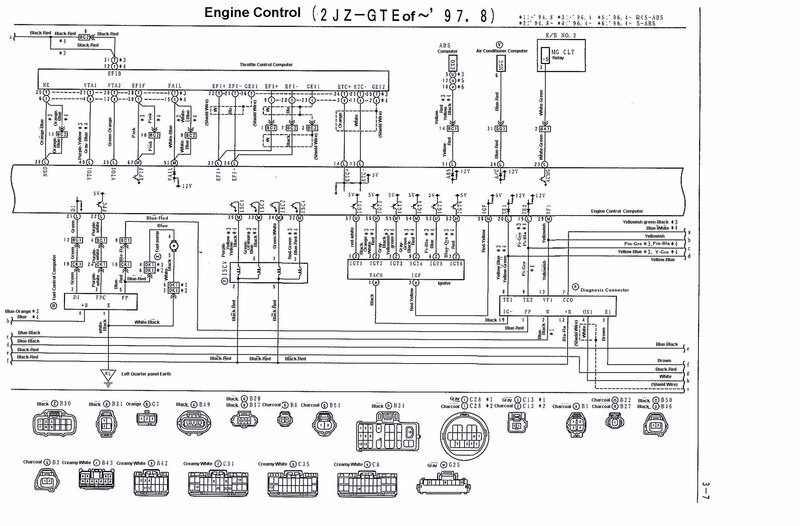 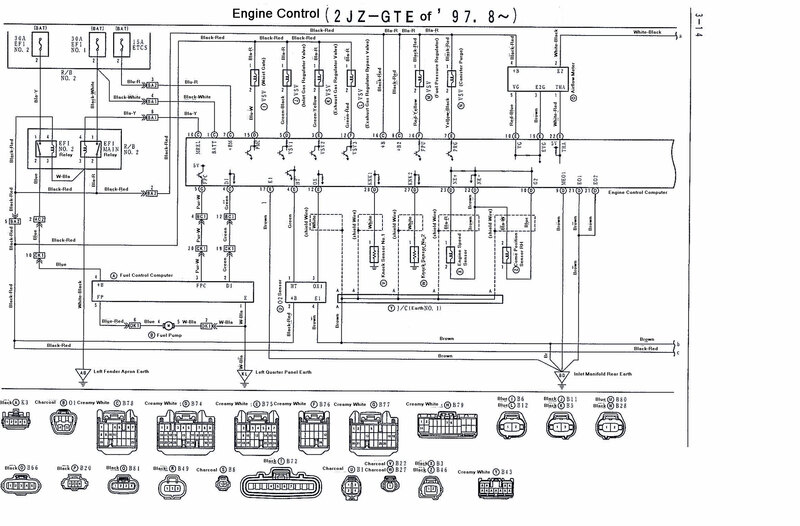 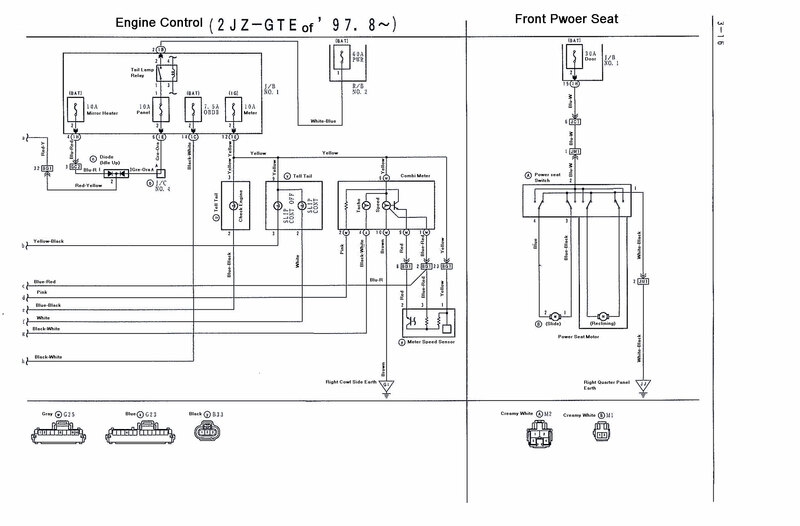 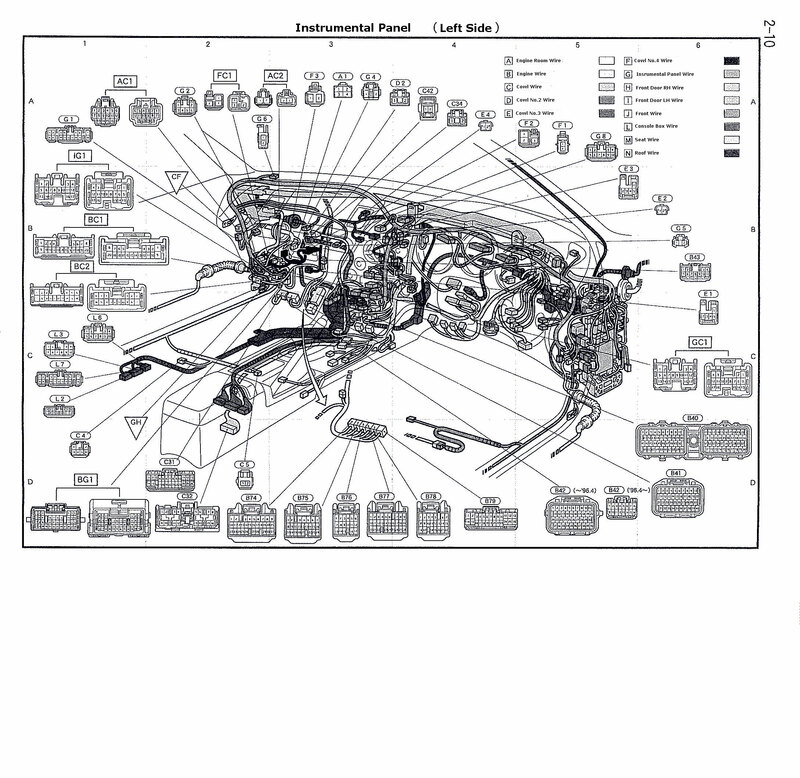 Apexi RSM (Rev/Speed Meter) instruction manual and wiring diagrams. 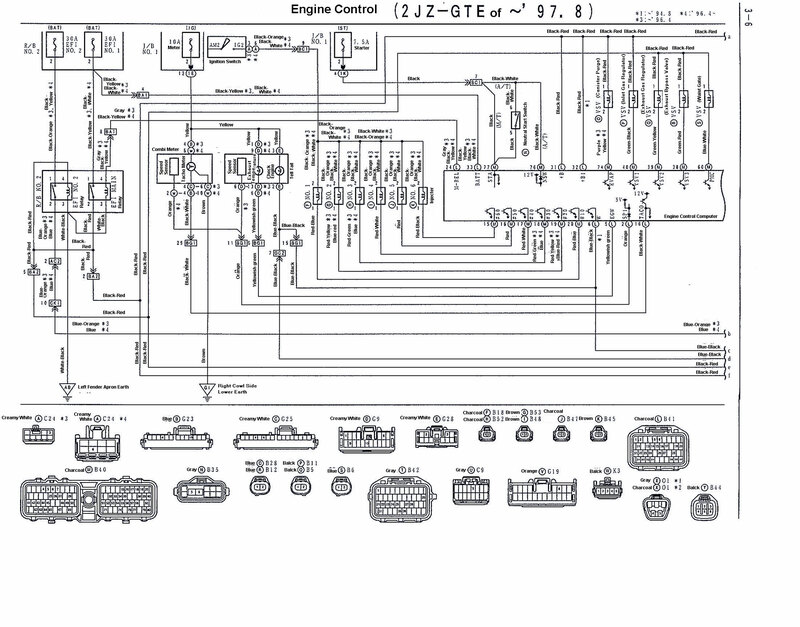 These are the body loom and other connector pins (from the orange plug in the footwell near the ECU – to the ABS plugs) – A big thanks to Wilbo (AU supraforums), Lacho (2JZGarage reader) and EMPEROR on (UK mkiv forums) *Note – You should be able to reference the wiring diagrams to the correct PIN and connector numbers, these tables just make it easier to read in some instances. 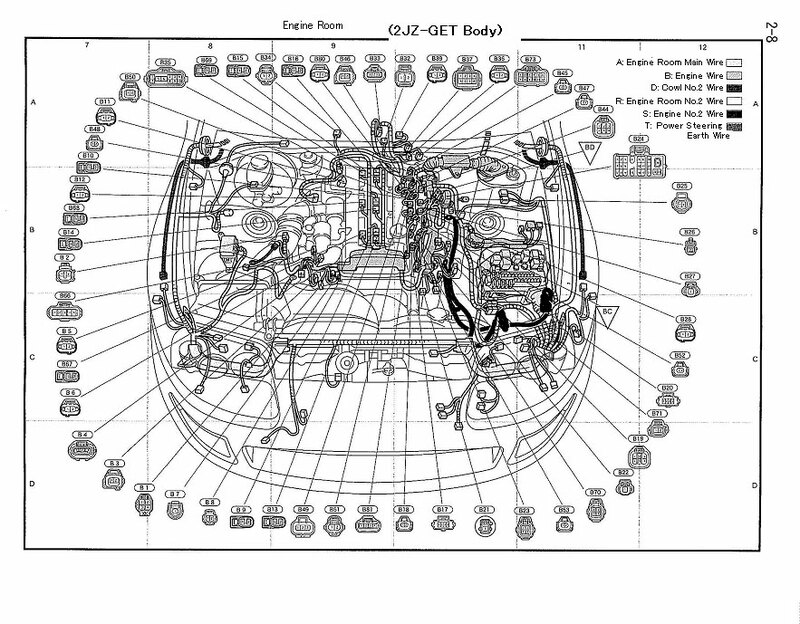 Disclaimer – I don’t take any responsibility for these diagrams, these are referenced off 2 different diagrams I have of the 2JZGTE vvti and some are in Japanese, it is possible that some could be incorrect wire colours or descriptions due to translation errors. 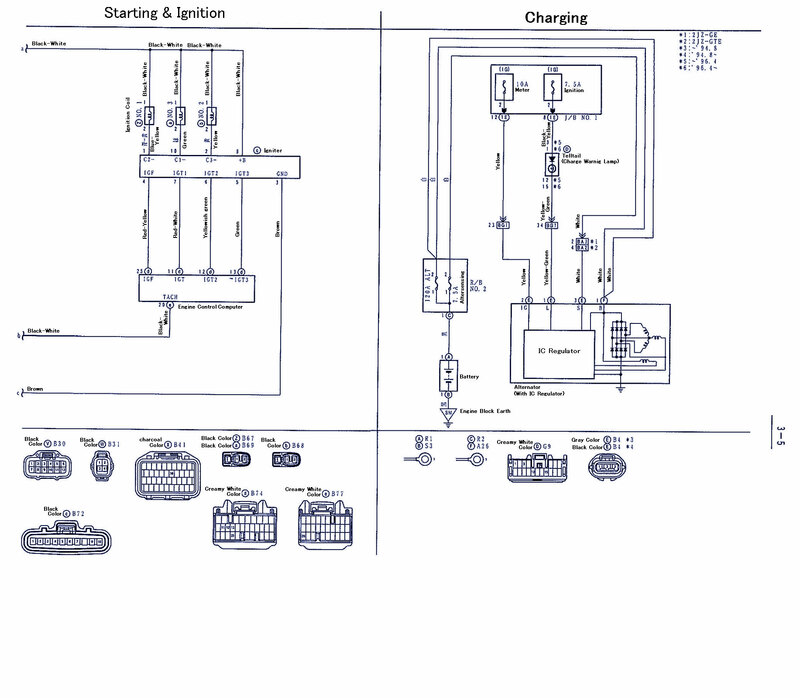 If you are unsure please trace wires or deal with an auto electrical professional. 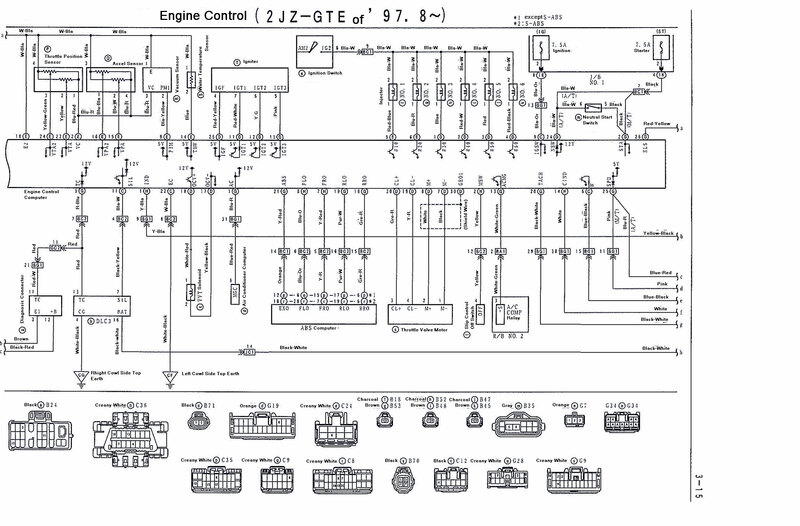 These diagrams also include non-vvti diagrams, please ensure you check the year of model at top of diagram.